Ashley Paving replaced our existing pathway and patio area. They also created two large platform steps leading up to our front door. 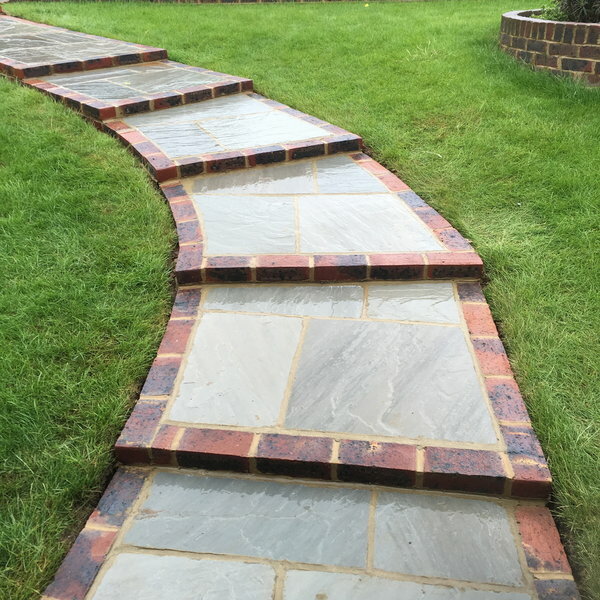 The work was completed within the promised timescale and as per quotation. Shane and his team were friendly and very flexible when minor changes were requested. They also gave us options as the work progressed to ensure that the work was to our satisfaction. We are very pleased with the final result and would have no hesitation in highly recommending them. Shane and his team renewed our rectangular front driveway in block paving. We saw their sign at a local address and we're very impressed with the quality of that driveway. He visited to discuss our needs and quickly provided a competitive quote. 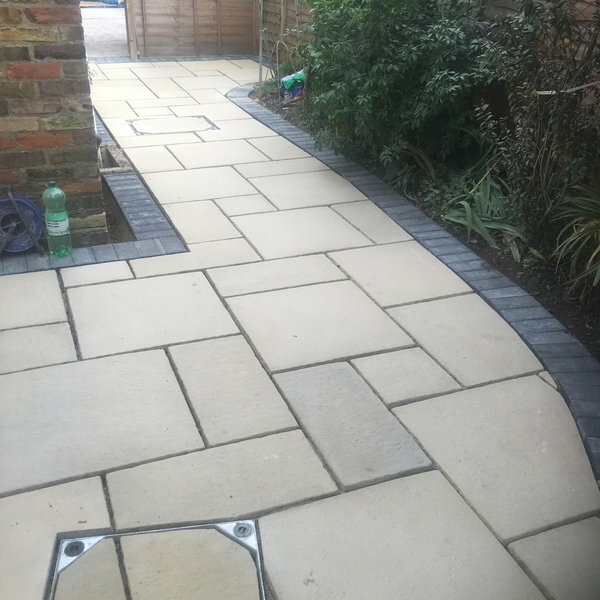 Torn between two similar quotes we chose Ashley Paving as they had been very courteous, quick to respond and keen for us to view addresses of other finished work. We are very pleased with our new driveway. Shane also returned to deal with two minor repairs and to provide a final seal to the driveway as promised. Good work at a fair price, what more could we ask. I gave Shane the job of doing my drive. Him and his two workers were very professional for the whole job. Very good workers, obviously very good at their job. I could see that they are proud or their work. I am very pleased and will recommend Shane to all friends and neighbours. 100% satisfaction. Ashley Paving (Shane) was just great. Superb work, tidy and clean at all times. Reliable and very pleasant, we would absolutely recommend him. The best price! Helpful, reliable and did a great job! Excellent job - never thought our drive could look so good! Did a very good job of paving the drive. Turned up at appointed time and worked continuously until the job was done. The neighbours were so impressed. They are using Ashley Paving to pave theirs!